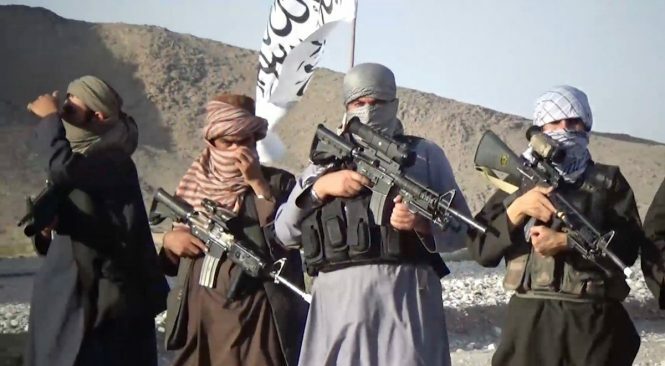 A clash broke out between the Taliban militants and the Afghan National Defense and Security forces in northern Faryab province of Afghanistan, leaving several militants dead, including a commander of the Red Unit of Taliban. The 209th Shaheen Corps of the Afghan Military in the North in a statement said Thursday the clash took place today morning at around 5:20am local time in Dawlatabad district. The statement further added at least twenty militants were killed during the clash with the security forces, including a Red Unit commandeer of the group. However, the 209th Shaheen Corps said the identity of the slain Red Unit commander of the Taliban has not been ascertained so far. In the meantime, the 209th Shaheen Corps said another commander of the Taliban identified as Mullah Najibullah was among at least 13 militants who sustained injuries during the clash.